In perhaps his finest performance to date, WBO middleweight champion Billie Joe Saunders easily out boxed and dominated former IBF champion David Lemieux over 12 rounds. The fight took place on HBO and was held from within the Place Bell in Lemieux’s hometown of Quebec, Canada, yet there was nothing that was going to stop Saunders on this night. From round one on, Sanders had his way with Lemieux. It was a performance that many are calling master class, and it’s very fitting that it happened to be on Saunders US TV debut. There’s no doubt that Lemieux is an absolute wrecking ball, as he has registered 33 knockouts in his 38 victories, yet there was nothing he could do to affect Saunders, as he missed wildly with many of his punches. Saunders meanwhile, often caught Lemieux with sharp counters, tough uppercuts, and hooks while moving and spinning out of the way. It was the classic bull versus matador, played to perfection by Saunders. After the bout, Sauunders spoke on his performance. “I know what sort of fighter David Lemieux is. I knew what he was coming for. I look easy to hit, I look easy to hurt, I look easy to put down, I look like I’m running out of gas, but you can’t hit me,” said Saunders. If there is one mountain that Saunders is looking to climb that will reap him a financial reward, as well as securing his legacy, it would be a crack at lineal middleweight king Gennady “GGG” Golovkin, who has expressed interest himself in a brawl with the UK champion. How would a Golovkin vs. Saunders fight go? Very interesting fight, to say the least. While Saunders was able to essentially shut out David Lemieux by using his boxing ability and movement, Golovkin would present a different kind of puzzle, as the Kazakhstan fighter has shown deft ability at cutting off the ring. 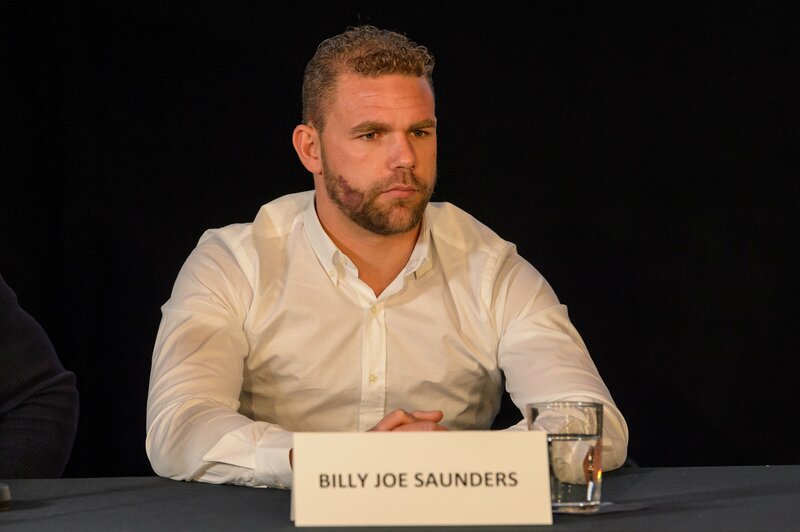 It should also be noted that two other HBO stars, Mexican superstar Saul “Canelo” Alvarez and former champion Danny Jacobs, would also present interesting match ups for Saunders. Jacobs is coming off of a dominant victory over contender Luis Arias last month and will be seeking bigger opportunities in 2018. Saunders is an ideal foe, especially when you consider that Canelo and Golovkin are likely heading for a rematch next May. As for Lemieux, this is a sad note on his career, as he suffers his fourth loss as a professional. After the bout he had some surprising comments that may have come in the heat of the moment. “He was running away from the first round until the end. I guess that’s his strategy to win, to run away from fighters instead of fighting. If this is the way you want to win, then hey congratulations,”Lemieux said.